We understand, being in the engine business, that time is money. Many of our customers have a critical piece of equipment with a Cummins or Caterpillar engine that is down right now. Every day that wood chipper or backhoe is down is lost revenue. 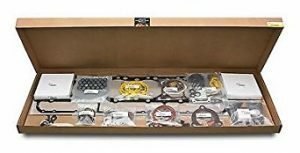 You can rest easy knowing we have the ability to ship a brand new Cummins 4BT, Cummins 6BT or Caterpillar 3306 anywhere in the United States within one day. You can throw a rod through the block at 2:30 pm on Thursday and have a replacement engine by 2:30 pm the next day. We offer next day and second day air options. Pretty cool huh! 2. Our parts specialists will ask you what your engine serial number and CPL (Critical Parts List) number is prior to ordering. 3. We then use CAT SIS or Cummins Quickserve Software to determine the exact part for your engine make, model, application and specific year produced. 4. We then determine where your part located in our logistics network. 5. We have warehouses in Denver, Cleveland, Houston, Miami, Los Angeles, Portland, Atlanta and San Jose and will ship your part from the closest warehouse to your location. 6. We calculate the shipping rate and final price for your p art. 7. We take credit card, check or wire transfer. 8. We place the shipment via UPS or through our LTL Partners Estes, YRC or R&L Carriers. We have the ability to Drop Ship or Blind Ship if necessary. 9. After the shipment is ordered, catalogued, packaged and loaded we will then send you a tracking number if your request it. 10. Orders then arrive at your home or place of business. 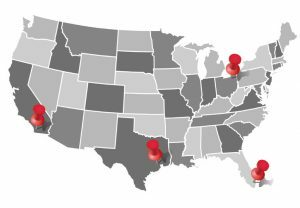 We have major parts and remanufacturing facilities in Denver, Cleveland, Houston, Miami, Los Angeles and distribution centers in Atlanta, Portland and Oakland. 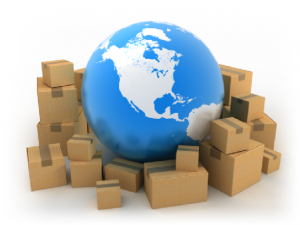 We have the ability to ship anywhere in the world. Shipping engines will require a freight broker to clear customs at the preferred port of call. The process is a bit more intensive but can be done. We have shipped engines and parts to New Zealand, Brazil, Uruguay, Canada, Mexico, Virgin Islands, Japan and Russia to name a few. Remanufactured engines and parts are machined in house at our facility in Denver, Colorado. Remanufactured items are not ready to order but rather custom build to your engine OEM specs. When you order a remanufactured engine or parts you will be quoted a lead time based upon the current production schedule. Your job will be placed in the queue and will ship when completed. Typical remanufactured engine lead time is 2-3 weeks due to the backlog of other engines in process. Remanufactured cylinder heads and crankshafts usually take 1 week, while camshafts and lifters, rocker assemblies only take as little as a few days. We will keep you updated as to where your order is in the production queue and when it will ship. 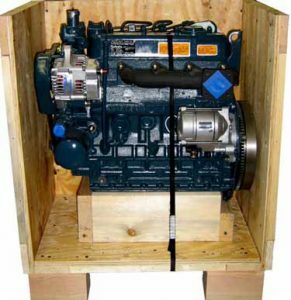 Remanufactured engines and parts can be purchased outright, on an exchange basis which includes a core charge which is refunded when your old core is shipped back as well as a repair and return basis where we remanufacture your old part or engine and ship it back. 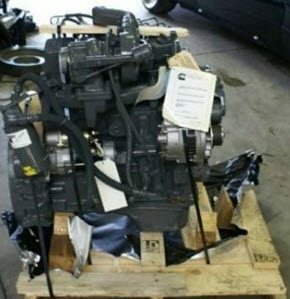 Used engines can usually be shipped the day of the order. Our used engine inventory fluctuates based on the market. We work with 28 truck salvage and engine facility partners. 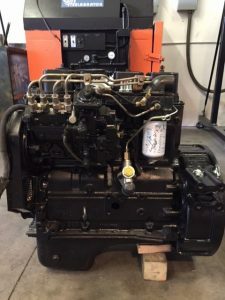 Sometimes engines will ship used engines from our location in Denver, CO or they may ship directly through our partner organizations. Used engines can be purchased on an outright basis or through an exchange with a core charge.